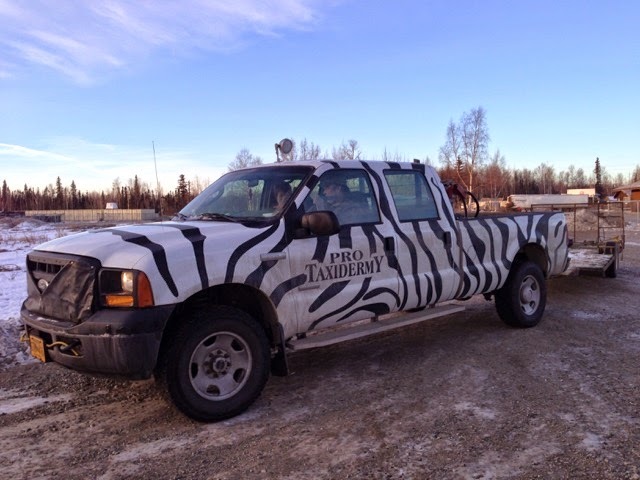 Lisbet Norris - Anadyr Siberians Blog: Learning things the hard way, aka the story of my life. Learning things the hard way, aka the story of my life. Knight of the Parks Highway. My sled blew out of my truck the last time I went up to the Denali Highway. As we ascended the hills north of Trapper Creek, I was so taken by the views of the mountains that I neglected to look out my rearview mirror — until that stomach dropping moment when I glanced up and noticed a gaping expanse in my field of vision — one that should have been filled up by my Bernie sled. Oh, what an awful feeling. I love that sled. Not only is it my first distance sled, it’s the sled I ran my first Iditarod with, and it had a very nice sled bag that took my mother hours of hard labor and love to make for me. I was crushed. And I felt so stupid — I had been deliberately careless when I secured the sled. It was -10F that morning & my hands had been cold — I had looked at my frozen metal towstrap that I didn't feel like manhandling and decided the sled was wedged in good enough. Won’t make that mistake again. 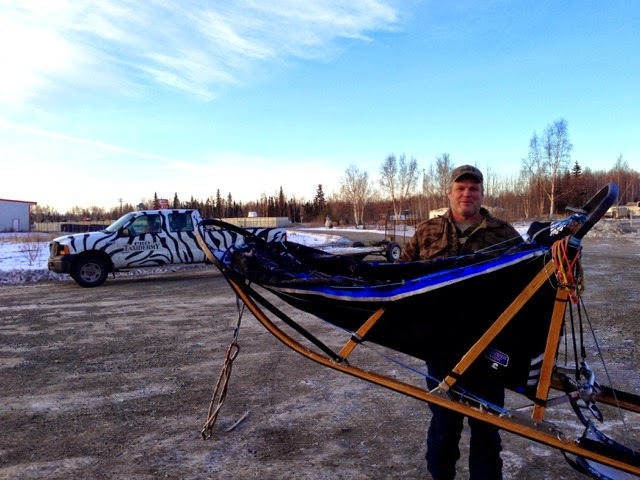 I want to extend a huge thank you to the RJ at Pro Taxidermy of Fairbanks, the rescuer of my sled & my hero that weekend !! That was pretty awesome of them. I'm glad your day worked out.